When the last bank branch in a 100-block area of the Lower East Side closed its doors in 1986, local activists took matters into their own hands and organized to establish a non-profit financial cooperative, the Lower East Side People’s Federal Credit Union. This episode features a conversation between New Economy Project founder and co-director Sarah Ludwig and Linda Levy, the credit union’s longtime CEO. 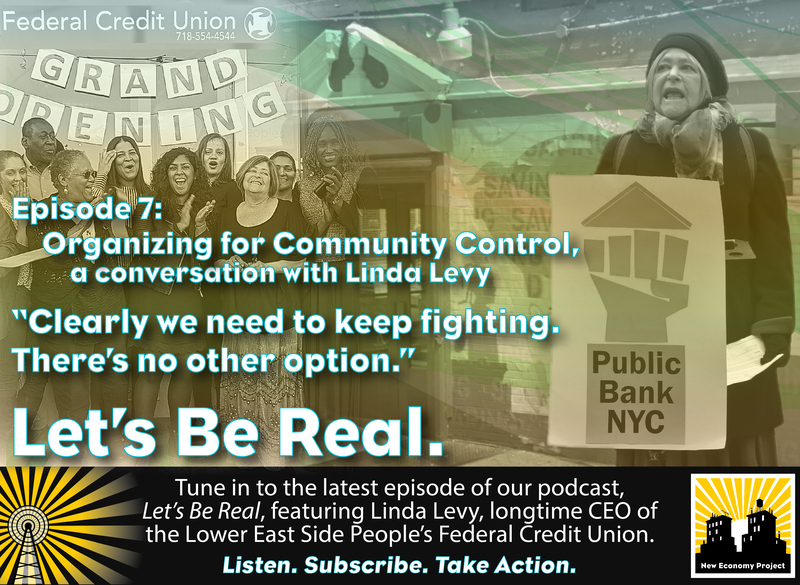 They discuss how the credit union got started, and Linda shares her experience organizing for economic justice in New York City.